Personality: Cool and calm demeanor. He is socially awkward and hardly ever gets out. He is never embarrassed and is often witty, but fails to see humor. L is an amazingly smart being, but 'is very stupid for a smart person.' He seems to have traits that people associate with autisim as he does not like being touched and takes things rather literally. He sees the world as a puzzle and rarely expresses emotion. Apperance: Blonde shoulder length hair and bright blue eyes. 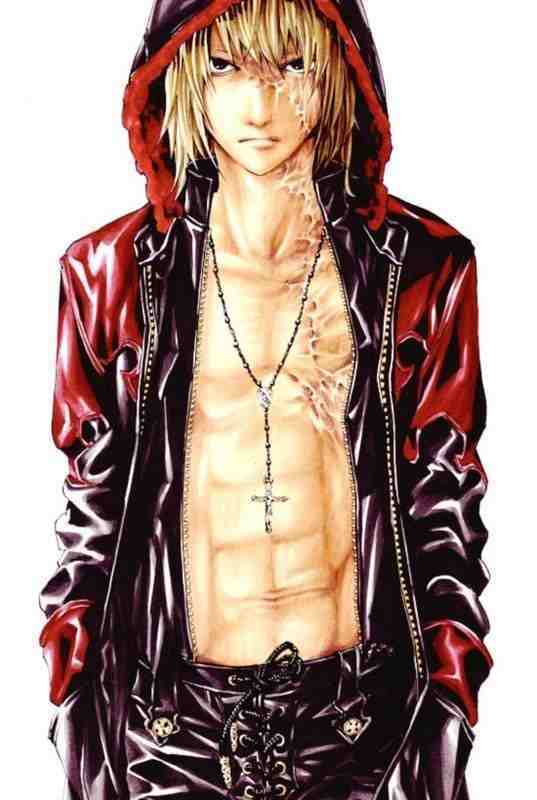 Mello is rather tall and skinny, he is often caught wearing leather with a bar of chocolate on his person. A noticable burn runs down one half of his face, ending at his naval due to a factory explosion. He is also accustomed to a rosary draped around his neck. Personality: Arrogant and rash. Mello will do things and not think twice about them. He has a knack for attracting trouble and attention and has practically no conscience. History: Mello decides to find Kira his own way by joining the Mafia, who accept him as their major advisor because they have the shared goal of taking down Kira. Mello proves his ability to them by tracking down a rival mob boss that even Kira could not discover the identity of. Mello obtains one of the Death Notes from the Kira investigation team by having the Mafia kidnap Sayu Yagami, then exchanging her for a Death Note. Mello is then successfully able to retrieve the Death Note by fooling the police into thinking it was being transported away from the exchange via helicopter, until revealing that it had actually been loaded onto a missile, which was too fast to be tracked once launched. Having successfully outwitted Kira, Mello's men retrieved the Death Note, and he began planning how to use it. 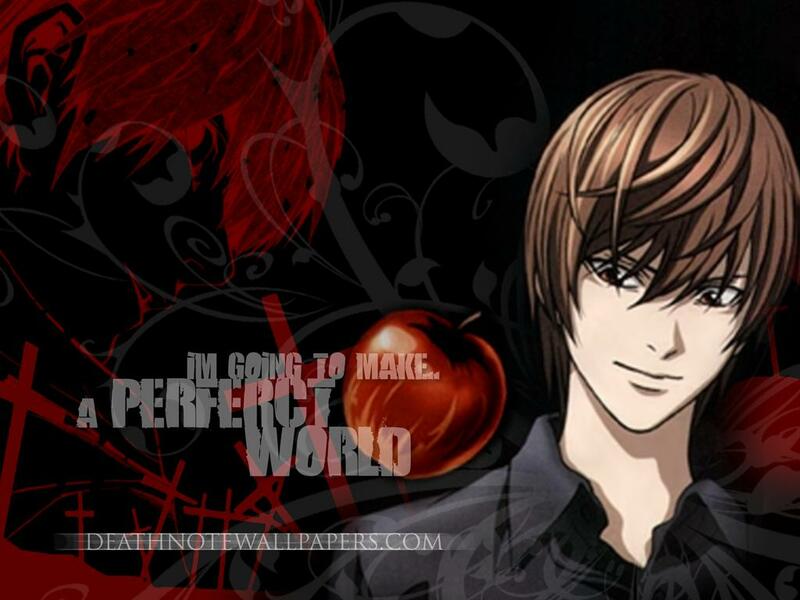 However, Light Yagami discovered the location of Mello's Mafia hideout by having Misa use her Shinigami eyes to discover the identity of one of Mello's Mafia accomplices, and then using the remaining Death Note to make him mail Light their location. The indirect result of this is that the Shinigami Sidoh, who was the original owner of the Death Note Mello now possessed, also found out Mello's location and was able to get there first. Sidoh briefly struck up a loose alliance of sorts with Mello, revealing to him (in exchange for some of Mello's chocolate) that the two extra rules that Light made Ryuk write in the Death Note to fool L -- particularly the one saying that "if the user does not kill once every 13 days, they will die" -- were fakes. Mello begins to theorize that whoever Kira was, he probably used that rule to fool the Japanese police into thinking he was innocent. However, Light then launches a SWAT team raid on the hideout, leaving Mello in a face to face confrontation with Light's father, in which Mello revealed that he had the entire building rigged with remote-controlled explosives, leading to a tense showdown. In order to escape, Mello was forced to detonate all of the bombs, after one of his Mafia accomplices fatally wounded Light's father. Mello managed to survive the explosion and evade the police, but Mello was left badly scarred along the entire left side of his face above his mouth (the gas mask he was wearing at the time protected the rest). Worse, while Mello was still alive, the failure of his Mafia scheme left his real name in Light's hands. Mello forces an entry into the SPK at gunpoint, to retrieve the one existing photograph of himself from Near. Each wryly promises the other that the race is on to see who finds Kira first. Mello leaves Near, but not before passing on the information to him from Sidoh about the two fake Death Note rules, which drastically sharpens Near's suspicions on Light Yagami. Mello then enlists the help of his friend Matt (the third best student at Wammy's House, behind Near and Mello) to spy on Misa. After learning that Light is Kira and Near was going to attempt to apprehend him, Mello kidnaps Kiyomi Takada, by having Matt attack Takada's motorcade with a gas grenade. Mello then drives up on a motorcycle, while wearing a helmet, and offers to take Takada to safety. In the confusion, Takada agrees, not realizing it is Mello until it is too late to get off. After a chase, Mello is able to evade Takada's guards on his motorcycle, and lock her in a shipping truck. While driving her to a different location, Mello sees on his portable television that Matt was cornered by Takada's guards and killed in a hail of gunfire; Mello feels deeply guilty and remorseful that Matt died, as Mello's plan was for Matt to escape to safety. Mello forces her to strip to get rid of any tracking devices, however, he allows Takada to cover herself with a blanket, which proves to be his undoing as she had a piece of the Death Note hidden in her bra. Takada uses the hidden piece of Death Note paper to kill Mello. 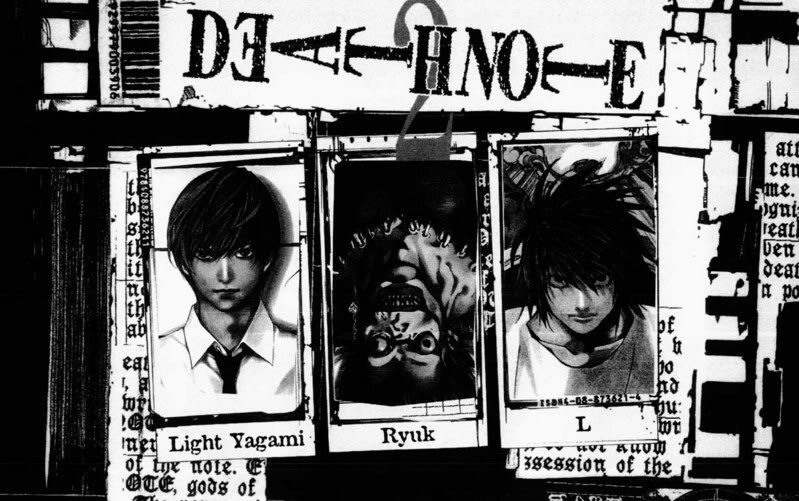 This action causes Teru Mikami to expose his own Death Note to kill Takada, not realizing that Light already killed Takada (to destroy all the evidence by setting herself and the truck on fire) using a different piece of Death Note paper he had with him. This alerted Near's agents to the location of where Mikami had hidden the real Death Note in his possession, directly leading to Near's final defeat of Kira. In the end, Near tells Light that Mello realized they couldn't live up to their successor, L, alone. Therefore, he worked with Near up to his death and after. Have fun with those two unless you get the other one put in correctly. xD No rudeness taken, will do. 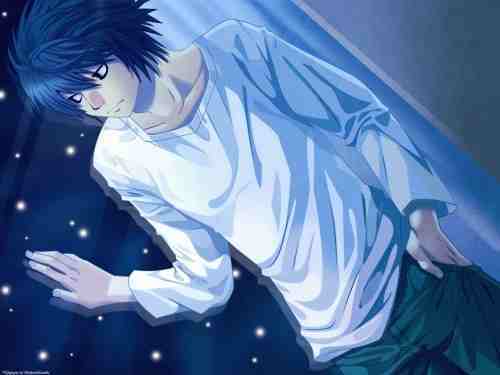 I just B on here because he was mentioned in both the anime and manga. He also has a book written about him. Ok then canon Characters for both L Ryuzaki & Mello have been taken.